Les Deux Alpes is suitable for skiers at all levels, although if your up to the intermediate standard you’ll have the most options in this resort. 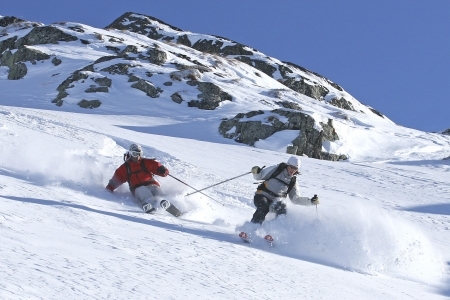 If you are up in the expert group for ski-ing, you will have plenty of off-piste options to enjoy and beginners will gain confidence by the wide, open slopes found around the glacier area. Children can attend the excellent ski school and there is also the crazy snow snow park, designed for snowboarders. The resort is a bit of party town but its safe and offers entertainment for families with young children as well. There are various nightclubs for those whose legs are still up to an all night dancing session, but if you need something where you can sit down, there is a cinema, a couple of history museums and a bowling alley. If ski-ing isn’t your thing, you can try out the tobogganing, sleigh-riding, and ice-skating facilities and of course, there is ice-climbing too on the glacier. There are plenty of options in terms of accommodation - everything from budget to luxury chalets, and a full range of comfortable hotels, such Les Deux Alpes Hotel. There are 11 black runs (suitable for top notch skiers), 11 red runs (suitable for intermediates), 31 blue runs (suitable for beginners), and 17 green runs (suitable for anyone learning to put there skis on). The steepest slopes are towards the village, which is quite unusual, and the higher slopes are less challenging. Don’t be worried about getting about though, because you can always catch a gondola ride to the base of the resort and all the slope ranges are accessible by modern cable railways. An astonishing 61,000 skiers per hour (!) are taken up the mountains by modern and reliable ski lifts. There is also a rather wonderful train that goes right through the mountain summit – prepare for jaw dropping views from the top! The season at Les Deux Alpes starts in late November and runs until May. If you shop around excellent rates can be had towards the end of the season. The snow conditions seems to hold up well, and the resort has the largest skiable glacier in the whole of Europe - which offers great skiing throughout the year. Les Deux Alpes sits in the centre of the Oisans, at the top of Veneon Valley. It is located approximately 70 kilometres from Grenoble and 160 kilometres from Lyon. You can fly to Lyon, before taking the Satobus to Grenoble. The resort can then be reached by VDF coach. Or you can fly to Paris and then take a direct flight to the airport at Grenoble. Feeling rich? You can arrange a helicopter transfer from the airports at Grenoble or Lyon. Drive time from Calais is approximately nine hours – just remember to budget for the Toll Fees which run into 100 Euro’s so . From the port, you should follow the main autoroute to Grenoble and take the exit at junction 8. This junction will have signposts for Vizille and the Oisans resorts. Follow the RN91 through Le Bourg d’Oisans and then, at the Chambon Dam, turn right on to the D213. Les Deux Alpes is just 70 kilometres from this point. Rail transport is another option. Take the Eurostar to Paris and then catch the high-speed TGV to Grenoble station which will take about hree hours. When you arrive at Grenoble, you can pick up the VDF bus direct to the resort. With 220 KM of downhill Pistes, 25 km of country Trails, and 55 ski lifts you’ll be able to sample everything this ski resort in France has to offer.